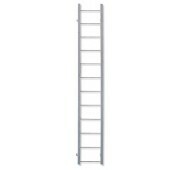 Calico Ladders can help with your straight fixed ladders which are normally used in applications that can not use a normal flared top, such as a roof hatch or manhole application, or the user will be exiting the ladder to the side onto a landing or roof access. They are measured from grade to the top rung, which should be the height of the step off from the ladder. The actual length of the ladder may differ. 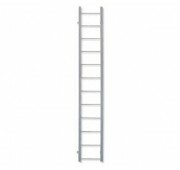 Fixed ladders are supported from the wall or structure, with optional supports extending to the ground. Please select10 ft.11 ft.12 ft.13 ft.14 ft.15 ft.16 ft.17 ft.18 ft.19 ft.20 ft.21 ft.22 ft.23 ft.24 ft.3 ft.4 ft.5 ft.6 ft.7 ft.8 ft.9 ft.